I found this recipe on Sweet Life Kitchen. It looked, delicious, easy and a little different than your traditional beef taco, so I gave it a try and it was great! There are only a few ingredients, so it came together very quickly. Plus, I got to ignore it for the next 6 hours—that’s my kind of cooking! 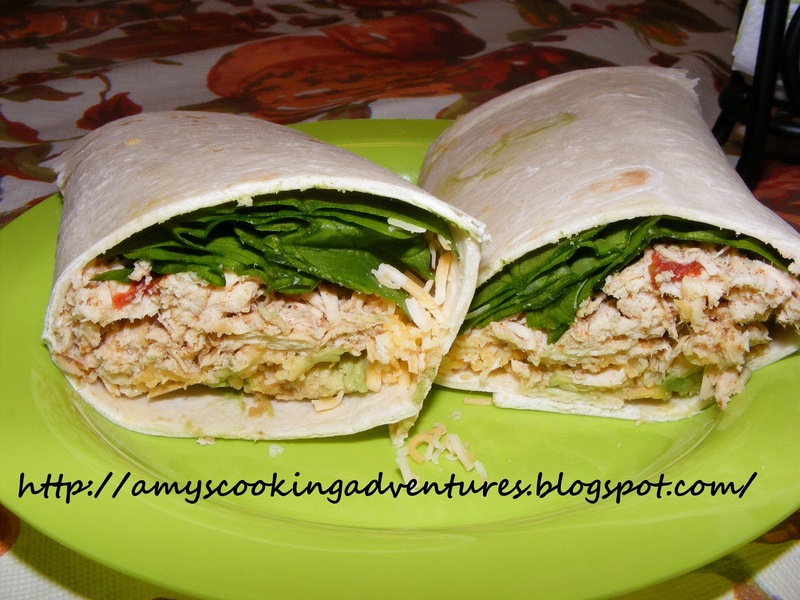 I modified the recipe slightly, using tomatoes with chilies and using my own seasoning. We got 2 meals out of this chicken mixture (figure about 1 chicken breast per person). For the second meal, I put the chicken in tortillas, dumped some Colby-jack cheese on top, folded and half and cooked the on the Foreman grill to make some easy chicken quesadillas! Pour chicken broth in a medium sized bowl. Whisk in chili powder, cumin, garlic, and onion powder. Pour diced tomatoes into the slow cooker. Lay chicken breasts on top of the tomatoes and pour the broth mixture over top. Remove chicken and tomatoes from the slow cooker. Use 2 forks to shred the chicken. Add about ¼ cup of the liquid from the slow cooker and stir. 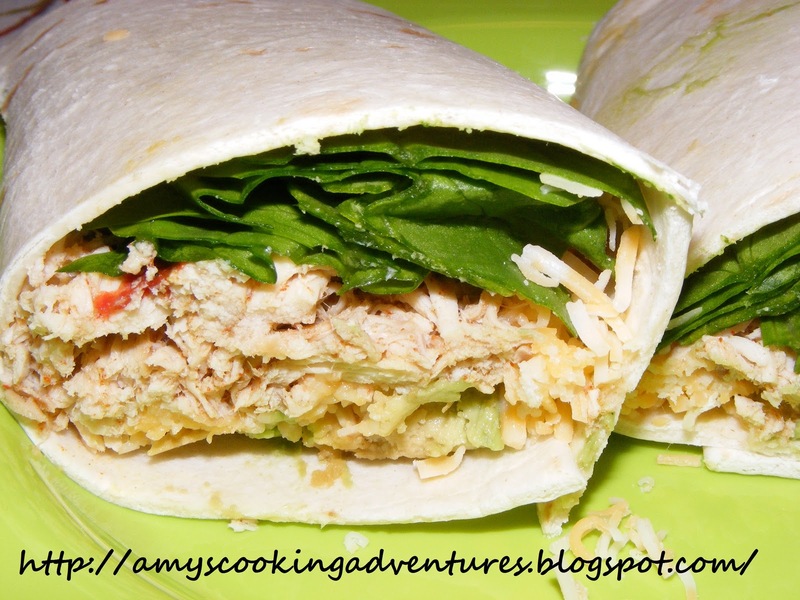 Put chicken into tortillas and top with spinach (or lettuce), avocados, and cheese.